Perhaps you're wondering: Is Jello Vegan? Are there any vegan jello brands out there? We've got the answers to your questions! What is Vegan/Vegetarian Jello Made of? Jello has been a long time favorite of households for decades. However, it may be troubling to learn that jello is made from gelatin, which is a product derived from animal parts - making it non-vegan. These animal parts include skin, bones, cartilage, bones and even hooves. All just to make that jiggly substance! Bakol Jel Dessert is one of the first brands of Vegan Jello we were able to find online. It is very similar to traditional Jello in the sense that it comes in the familiar square boxes and is pre-flavored. To date, Bakol manufacturers their Jel Desserts in six flavors: Raspberry, Lemon, Strawberry, Cherry, Orange, and Unflavored. All of the flavored ones are made with natural vegan flavors and natural vegan colors such as beet powder. 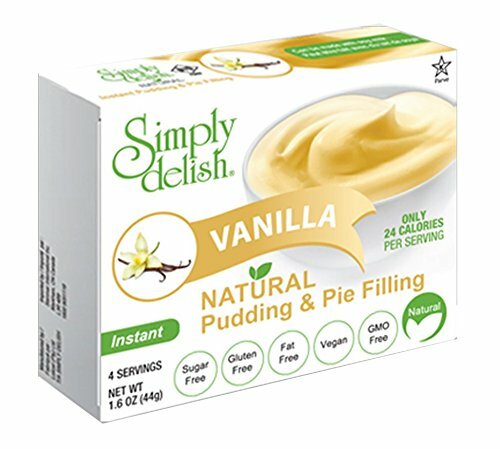 Simply Delish is another brand we were able to find. It’s actually sugar free and made with a different set of ingredients. We’ll get into the specific differences in ingredients for each different brand below. 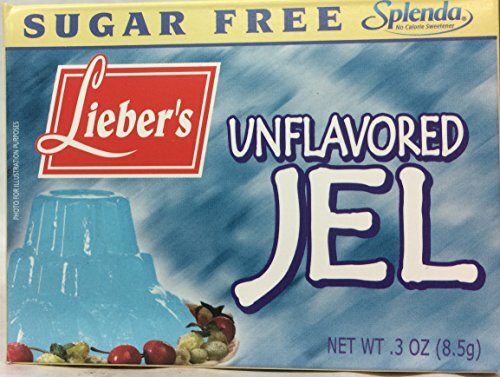 Lieber's Sugar Free Jel is a good option if you’re looking for a sweetened gelatin replacement (they make a version with splenda and regular sugar). Being that its unflavored you can simply add it to any other recipe that calls for gelatin or use your own flavoring (such as fruit juice) to customize it how you’d like. A great substitute for agar agar (see below) should you not want to use it. Go for this one if you’re looking for a straight vegetarian substitute for gelatin to use in recipes. You’ll likely be able to find this at your local grocery store so be sure to include it https://thrivecuisine.com/lifestyle/vegan-shopping-list/”>inopping list. Agar agar is a great standalone option if you don’t want to purchase pre-packaged vegan jello. It will typically end up being a fair bit cheaper as well as you’re just buying the raw ingredient rather than a packaged mixed. Don’t worry if you’re confused, we have a section below explaining exactly how to use agar agar. As you may know, Jello also makes pudding snacks found in the refrigerator aisle, but most if not all of them contain milk. Vegan puddings are a bit hard to come by, especially if you don’t live in a super vegan friendly area, but we were able to find this option by Simply Delish! Granted, its not as convenient as being in a cup already, but its a good option nonetheless. When you make vegan jello from the package, it literally couldn't be easier. You simply pour the powder into hot water, cover it, and let it cool by placing it into the refrigerator. It will set shortly thereafter and its ready to serve! The video above shows a funny example with a watermelon and Bakol Jel Dessert. To be honest, that seems like a bit of a hassle, but at least its easy! If you don't want to get one of the boxed versions of vegan jello, it is rather easy to make your own at home. Agar Agar is considered to be the vegetarian version of gelatin and has been used for ages in Asian cultures. Bring water to a full boil while stirring consistently with a whisk. Make sure that the powder is completely dissolved by using a spoon to check for granules. Add sugar or other sweeteners and bring to another boil to completely dissolve. The above ratio will allow for around 1/2 cup - 1 cup of juice or another liquid. Place it into a mold to let it cool so it can set - you can do this at room temperature or in the fridge. You may have to experiment a bit with whatever flavor you're looking to make as agar-agar may perform differently at different levels of acidity. Bringing the water to a boil will help neutralize the differences in performance. Watch the video below if you need a visual aide or more detailed instructions. This recipe might be a bit complex since it has two layers, but the principles of working with Agar Agar remain the same. Plus you can feel free to only do one layer of this recipe rather than two or simply use whatever kind of fruit juice you'd like. If you get a mold, you can also use agar agar to make vegan gummy bears. The best part is is that agar agar is very easy to find online in whatever quantity you’d like and buying in bulk can usually save you a few bucks! While it is possible to use guar gum as another substitute for gelatin, you’re much better off using agar agar. There are actually lots of different ways to make vegan/vegetarian jello. It's simple a matter of using plant-based jelling ingredients as an alternative to gelatin. Carrageenan: a plant based thickener extracted from red seaweed or Irish moss. Vegetable Gum: It's impossible to determine 100% what gum a given company might be using, but for the gelatin replacements we've seen such as Bakol, they specifically state that its vegan. Gums tend to be plant-based ingredients that that have hydrophillic properties (they love to absorb water). Other examples you might see in other foods are guar gum, locust bean gum, and xanthan gum. They are often used to thicken soups and ice creams. No animal products to be found! They use a combination of Erythnitol (a sugar alcohol) and Stevia to sweeten their product. They do make a variety of flavors so the "strawberry natural flavor" is going to change depending on which version you get. 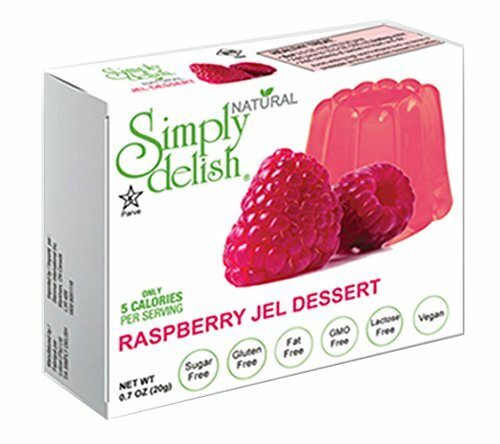 As you may have noticed, Simply Delish Vegan Jello is sugar free and safe for diabetics. Much like Simply Delish, Lieber's uses Carragenan as their main thicker. The ingredient statement below is from their version sweetened with Splenda hence the Sucralose. Below we've compiled some frequently asked questions about vegan jello/gelatin substitutes. If you've been vegan for a while, you may want to skip these questions! Is Jello / Gelatin Vegan? Big brands of jello or "gelatin" based desserts aren't vegan because gelatin isn't vegan. Gelatin is made from boiling cartilage, skin, bones, and other parts of animals. Are there any sugar-free versions of Vegan jello? Absolutely! One of the brands we’ve featured above, Simply Delish, is safe for diabetics as it contains 0g of sugar. The Lieber’s sugar free version is as well! In the UK, people use the term jello and jelly differently than in the US. If you're looking for jam-style spreads be sure to check out our post on vegan jam and jelly. Should you want to make your own jams and jellies at home, please note that fruit pectin is going to be your go-to thickener and not agar flakes or any gums. Can You Make Jello Shots with Vegan Jello? Absolutely! When prepared correctly, it will perform much like regular gelatin desserts. No need to hurt animals to have a rockin' party! Check out the video above on how to make vegan jello shots quickly and easily! Both Bakol and Lieber's were labeled as Kosher. Simply Delish didn't make it clear on their packaging so far as we could tell, but it might be! If you're not keen to buying online and would rather buy locally we have a few options. Use Bakol's store locator to find where you can buy their products near you. Another brand to look for is Lieber's (although we couldn't find their website for a store locator), but they have a kosher unflavored gel that doesn't contain any gelatin. It may be located in the Kosher section. 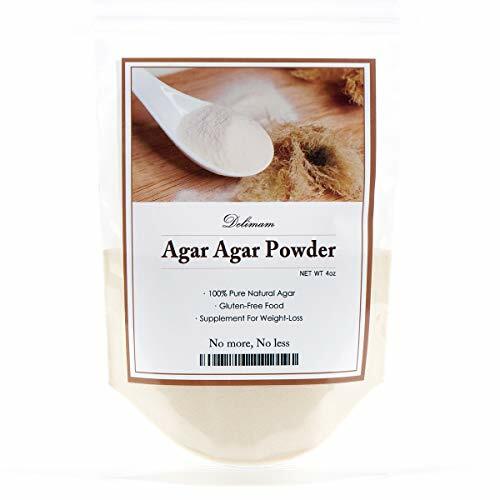 Look for agar agar in health food stores or Asian super markets. It should be readily available in both. Check your Kosher aisles or right by the normal gelatin things and look for "Jel Desserts". It's usually a pretty good indicator that its a vegan version. Being Vegan doesn't have to mean that you're restricting yourself. Especially in today's day and age, there's more than likely going to be a delicious replacement. Being vegan for ethics does not mean you need to restrict yourself!